So whether your heading cross country or cross town, you can count on OMS to deliver outstanding quality, value, function and style. We take personal pride in every product we deliver and customer satisfaction is our number one concern. Ride with OMS and you'll always stay "Ahead of the Curve". 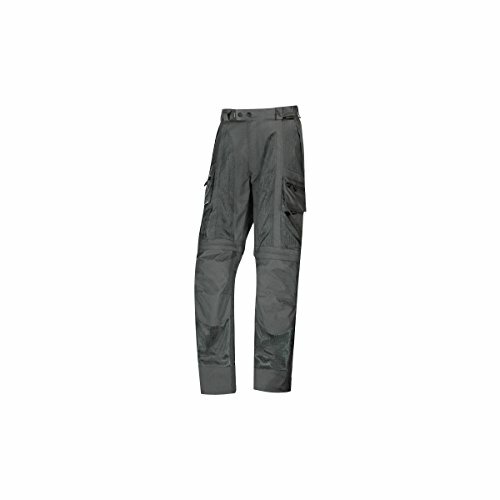 Unlike the Dakar jacket, the Olympia Dakar pants are a little more warm weather focused. Still a Cordura and ballistic mesh construction, the pants however don't come with a waterproof liner. Regardless, venting and abrasion resistance is top notch and the pants also have the added benefit of turning into shorts for when you're not riding. Don't worry about ease of entry, Olympia has made sure the lower legs still zip open to fit over your boots. Cargo style pockets give plenty of handy storage and CE approved armor along with foam hip pads offer up solid protection. 2015 Model.